United kicked off the second of their three year Hummel deal with shirt that hinted back to the eighties. 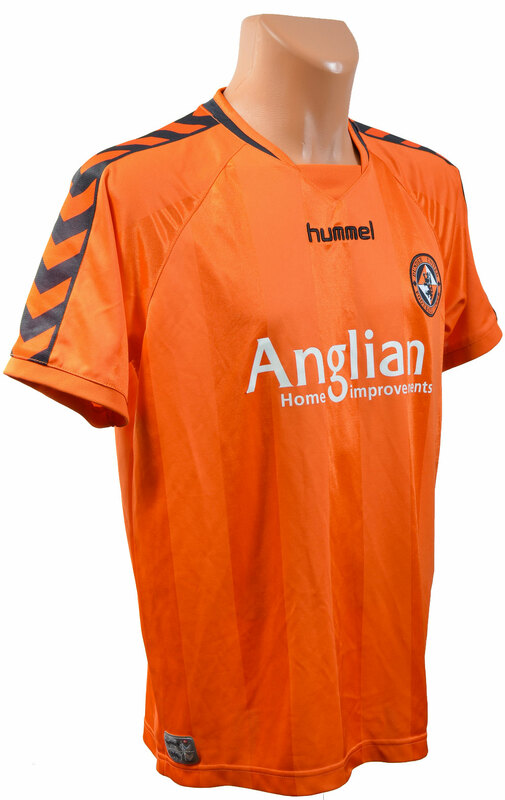 It came in a brighter tangerine colour than the previous year’s kit, with the top exhibiting vertical shadow stripes on both the front and back. The strip was a first for the club in that it was based on the output of a fans’ survey. Dundee United Marketing Director at that time was Stephen Thompson, who said, "All the club are delighted with the new strips. The fact that we consulted the fans shows that we do listen and work with them, while working alongside our kit supplier Hummel." Greg Cameron was on hand to model the new strip at the official kit launch. 2007 was the first year that sponsorship logos were allowed on the back of shirts and it was Fat Sam’s nightclub insignia that was positioned just above the player’s name. United continued with the Spanish based real estate company, Ole International, as sponsor on their shorts. This was only the second season United had logo sponsorship on their shorts. United’s main shirt sponsor was again Anglian Home Improvements, the second and final year of the deal. The top was recognisable as a Hummel product due to the black and tangerine chevron design that ran the length of the sleeves. The numbers on the back of the shirt were black with a white trim. All Scottish Premier League sides that season wore a Clydesdale Bank S.P.L. emblem just below the shoulder on both sleeves. The Tannadice side wore the shirt at Hampden in March 2008 when they lost to Rangers in penalty kicks, after an exciting C.I.S. Cup Final. The design of the top did not change for the match, but did include the C.I.S. sponsors logo on the arms and embroidered text denoting the event, ‘CIS Cup Final 16th March 2008’ under the club badge. The kit was last worn at Tannadice on the 22nd May 2008 when United lost 1-0 to Celtic in the final SPL match of the 2007/2008 season, a result that saw the Glasgow club clinch the SPL title.